At a loss for a cat feeding schedule? Consider meal feeding your cats so you can manage portion control, truly observe eating habits and stave off obesity. Do you have multiple cats? 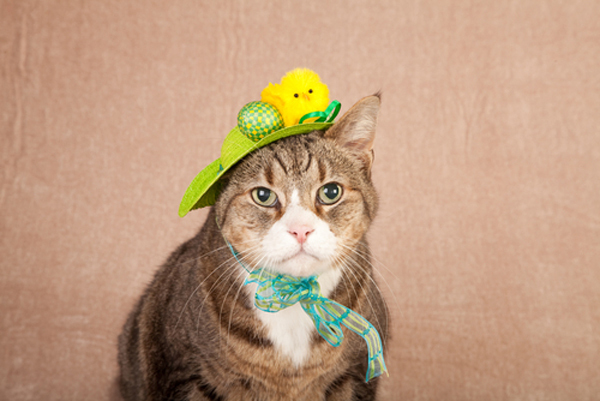 Is your cat is overweight or even obese? Or, maybe your cat is on a special diet. 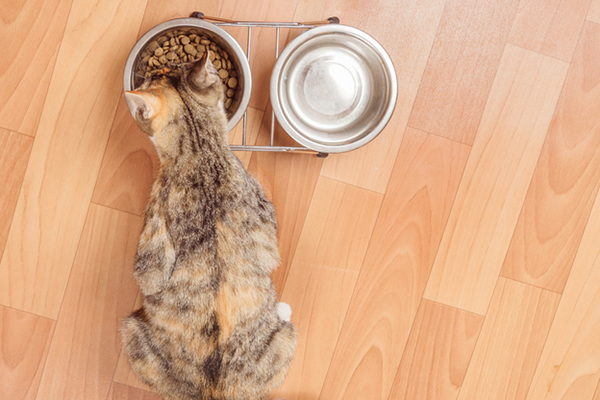 How do you monitor your cat’s food intake? 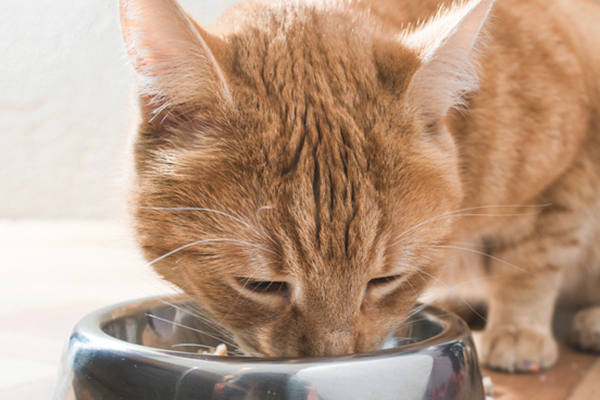 It can be difficult to stick to a cat feeding schedule and monitor how much a cat eats — unlike most dogs who gobble down food in seconds flat — cats tend to graze. They nibble and wander and return to nibble again and again throughout the day. Enter meal feeding, a scheduled way to feed your cats twice a day, taking the food away if your cat does not eat it at mealtime. Here’s how to do it and why it’s beneficial. An orange tabby cat eating out of a food bowl. Photography by deyangeorgiev/Thinkstock. 1. A cat feeding schedule helps you figure out how much to feed cats. 2. Meal feeding cats lets you observe your kitty’s eating habits. 3. 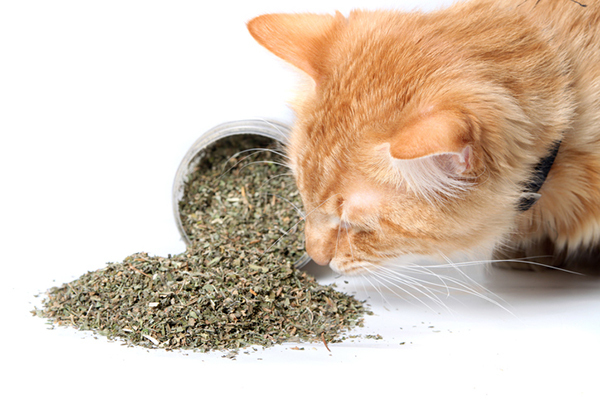 A specific cat feeding schedule makes it easier to give your cat pills and medications. 4. Meal feeding cats is a great way to bond with your cat. Make mealtime special by sitting nearby. As your cat adapts to this new cat feeding schedule, he will no doubt nibble and wander slightly. Use this time to pet him and catch up on the latest gossip while gently redirecting him toward the food. 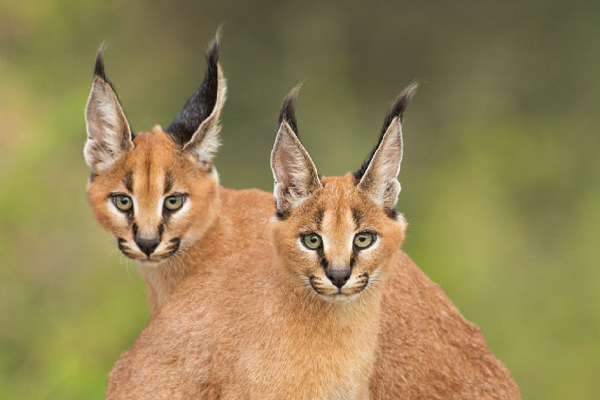 Sharing mealtimes is easy if you only have two cats — you can “eat with” one during breakfast and the other at dinner. For multiple cats, divide up your mealtime visits throughout the week. 5. Use this cat feeding schedule as a helpful reminder to freshen water. 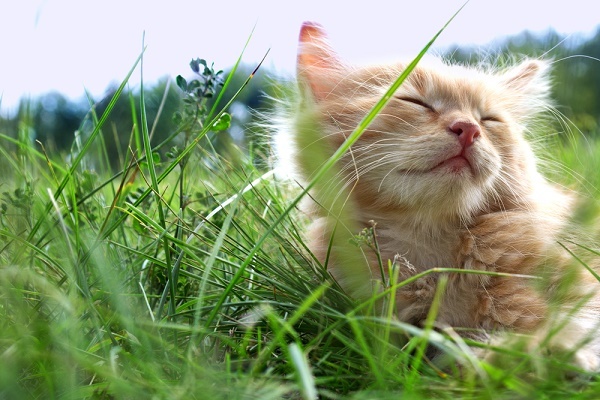 According to Dr. Debora Lichtenberg, VMD, “Healthy cats don’t tend to drink a lot of water. They sometimes drink what they need, but often they drink less than what they need.” So, refreshing water twice daily will help you to better keep track of your cat’s water intake. Tell us: What is your cat feeding schedule like? Do you meal feed your cats? Did they check for hyperthyroidism? I leave kibble out for my two cats all day so they can graze. When I get home from work I can tell how much they’ve eaten. I usually will then open a can of wet food and divide it between them, still leaving whatever is left of the kibble. Cats are not dogs. They will not eat when they are not hungry just for the sake of eating… Cats get obese because humans will feed them high calorie human food as a treat. Only one of my cats likes human food but I make sure that aside from a possible lick of my finger, I don’t give her human food. Our two girls are both Ocicats, a fairly large breed (for a shorthair), little girl Viola is around eight pounds while our older girl Saphira is north of ten. We feed each of them one 5.5 ounce can of a high quality canned food per day, divided into three meals, and we feed them when we eat. They both finish a meal in a few minutes, and their vet is happy with their diets and weights. Both are very active and are absolute joys. I am curious why it is so important to take the food away if it is not eaten after 30 min. I give my cat a very fixed amount of food 2 x a day that I want her to eat, and I don’t necessarily want her to have to eat it all at once. Why can’t the food be left out until it is eaten? I do not believe that it will go “bad” if that’s the argument. Bugs like cat food too, especially roaches! I have 12 cats, 8 of which all eat in 1 room. It’s old be impossible to give 8 separate bowls and watch them all. Any suggestions? I don’t like the idea of leaving food out in the open for many reasons, so I’ve been giving my cat three or four small meals a day—and until a few months ago, cats—for several years. Currently I don’t give him any kibble, just canned, and his coat is luxurious. One benefit of not leaving the food out: he’s grateful for what he gets, and finishes each portion. That sounds like a good idea. My cat wants to graze, eat when she wants. I am afraid of her getting overweight, so l will be more strict at mealtime. We used to free feed but our guys, being from feral stock, got overweight on that regimen. So, instead, we started feeding several measured meals every day. Because cats in the wild eat several small meals a day, we tried to make our feeding schedule something similar. Right now, they get a bit of wet plus kibble in the morning. Then 3 feedings of kibble and one of wet in the late afternoon up to bedtime. Once we both retire, I think I’ll move the late afternoon feeding closer to noon and spread the others out as well. It seems to work well and they’ve all lost weight. But I’ve also read that several small meals are best. Our 18 yr old cats are skinny, and the vet has recommended feeding them whatever and whenever they want to keep some weight on. I would say, always be guided by your vet. The article is general in nature. It has very good advice, but it is predicated on healthy cats. Well done with your senior. You are probably doing what I did when my senior was in the same boat : small meals and often. Possum’s intake was about the same as the other cats, but spread over a 15 hour period. In between, he mainly slept.